I am desperate to start a new project, so I am trying to be good and finish up an old one first. At least one! I have several neglected projects. But the new thing is always more exciting! I picked up the Scrappy Plus quilt, as it's the closest to being finished of my works in progress. And I want to be done! Now! That's my hand dyed batik in the front. About half of these (16?) 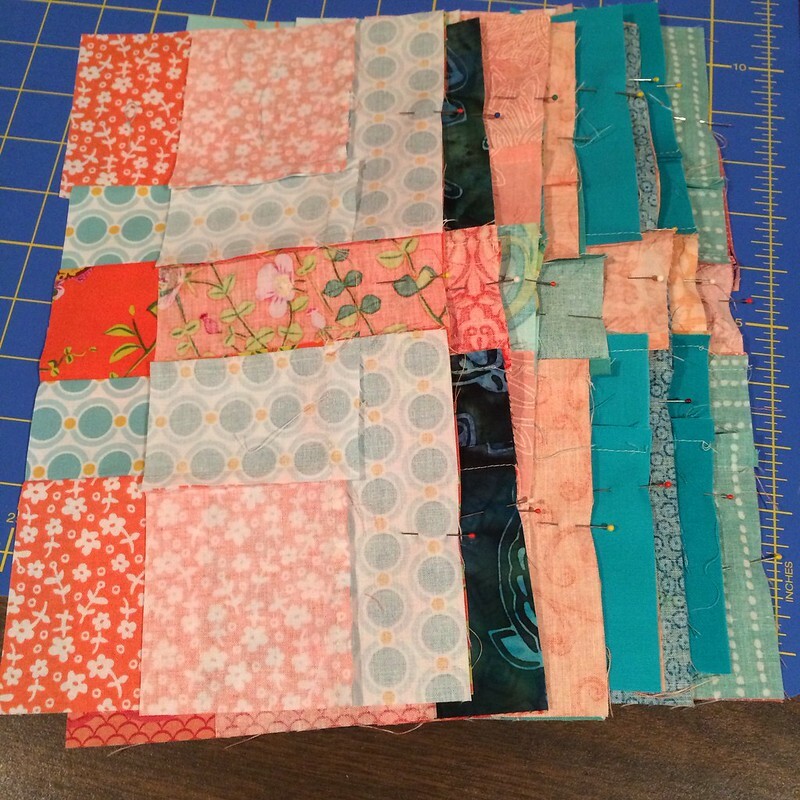 final blocks need to be bisected and inverted. The other half are cut and pinned and ready for their final seam. I hope to get that done tonight. Then it's time to trim... 50+ blocks... yay? 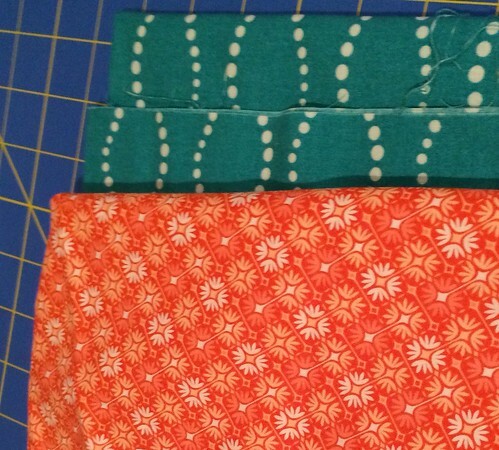 The super embarrassing thing is that when I went to put away the fabrics I cut for the final blocks, I found two fabrics I bought for the quilt that never got put it! Also, if that's not bad enough, I have so much coral left over! I'm now the queen of coral. I think I may have used up maybe two prints out of the... dozens I have here. I suspect I acquired more than I used. Which is what I suspect I always do... I am going to have to do better, I suppose. 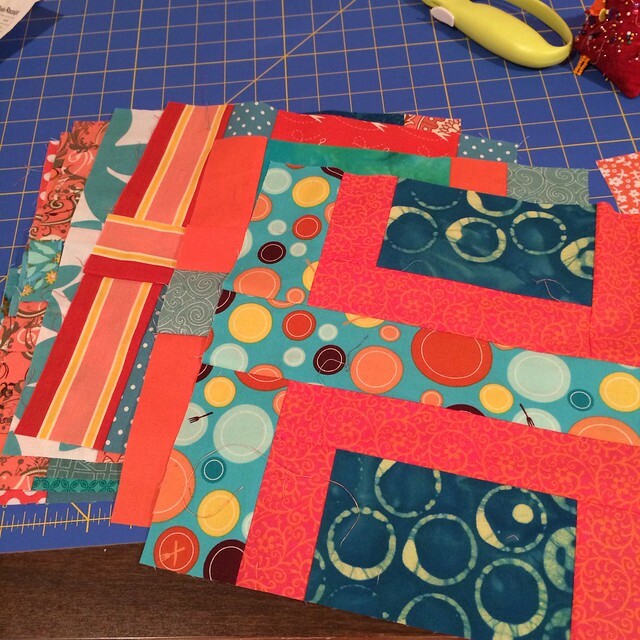 Linking up with Leigh Anne who is guest hosting WIP Wednesday at Freshly Pieced. Totally with you on the new thing always being more exciting:-) Your WIPs are looking good - maybe that overlooked fabric would make a good back?